I hope that your week has gotten off to a great start! I am relaxing and soaking up a little sun on vacation. Today marks the 14th week of pregnancy for me. Time is just flying by! We will get to find out the gender of the baby in about 6 weeks. I am looking forward to that so we can start preparing the nursery. 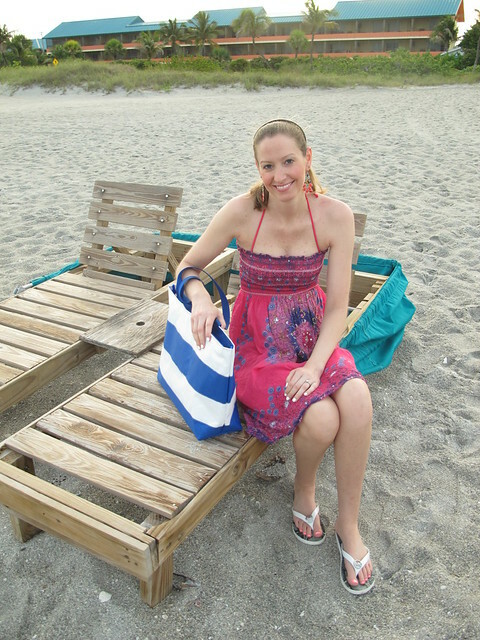 Today, I am featuring this fabulous beach bag from Hayden Reis! Pictured here is the middy tote. It is made of an ultra durable material that is lightweight and perfect for the beach! It contains four interior pockets, a hook for keys, and a zip top closure. 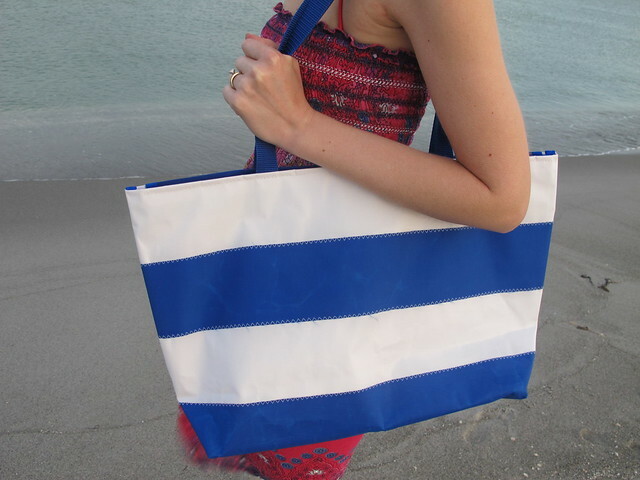 The bag is very spacious to hold all of your beach essentials! It can be easily cleaned with a magic erasier. Hayden Reis offers a lot of different bags, wristlets and accessories in a variety of colors. Check them out here! Enjoy your day and thank you so much for reading!